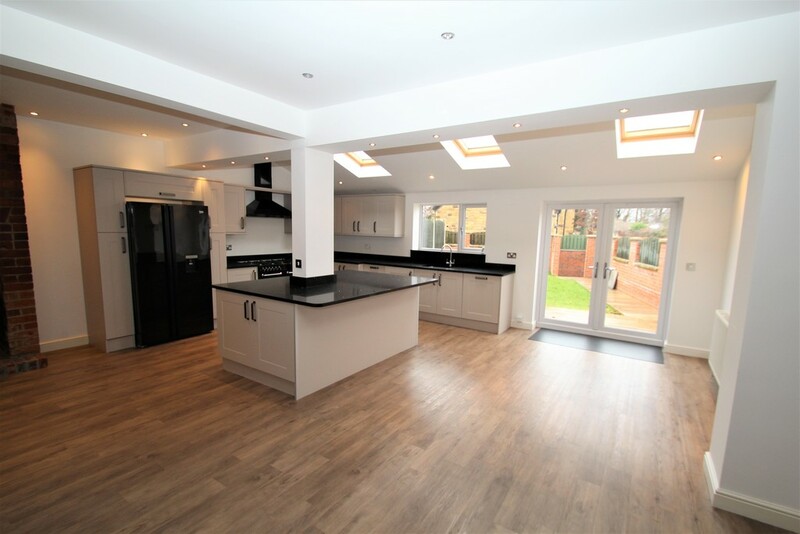 Andersons are delighted to offer this exclusive detached family home to the open market. 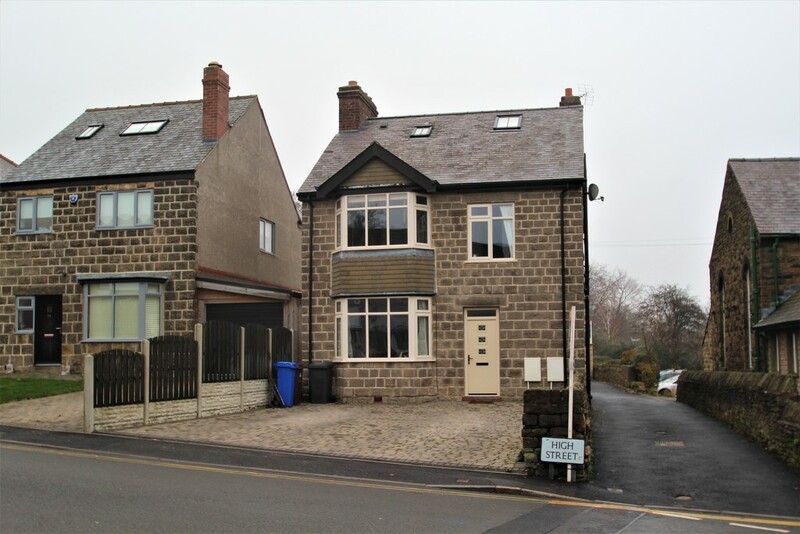 Located in the heart of Dore Village, which offers a wide range of amenities including shops, schools, restaurants and popular public houses, whilst being just a stones throw from the Peak District National Park. 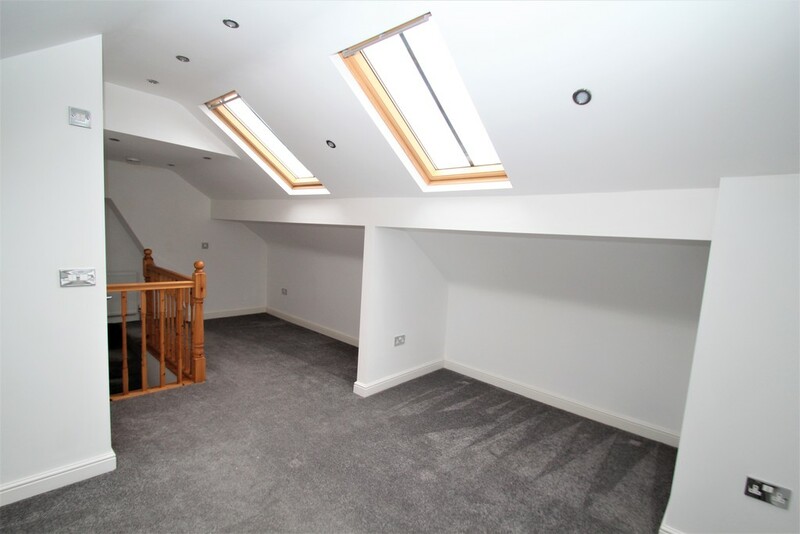 The property has been substantially extended to provide well proportioned family accomodation on three levels and has been refurbished to a high standard throughout. 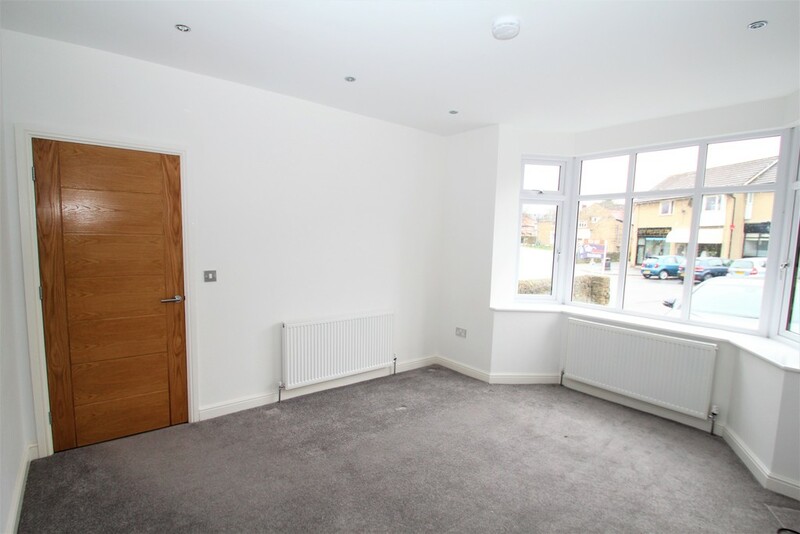 Accomodation briefly comprises: Entrance Hall, W/C, Living Room, and Stunning Kitchen/Diner/Family Room. 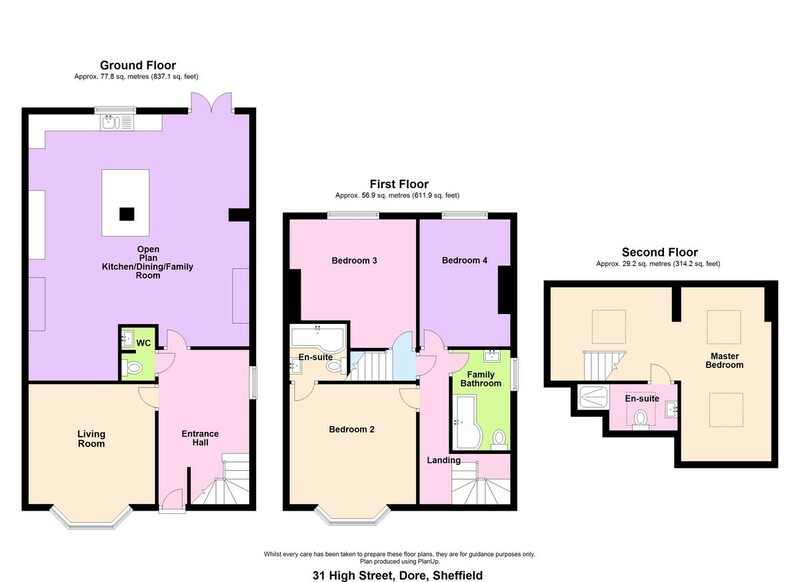 First Floor Landing, Bedroom Two with En Suite Bathroom, Bedroom Three, Bedroom Four and Family Bathroom. 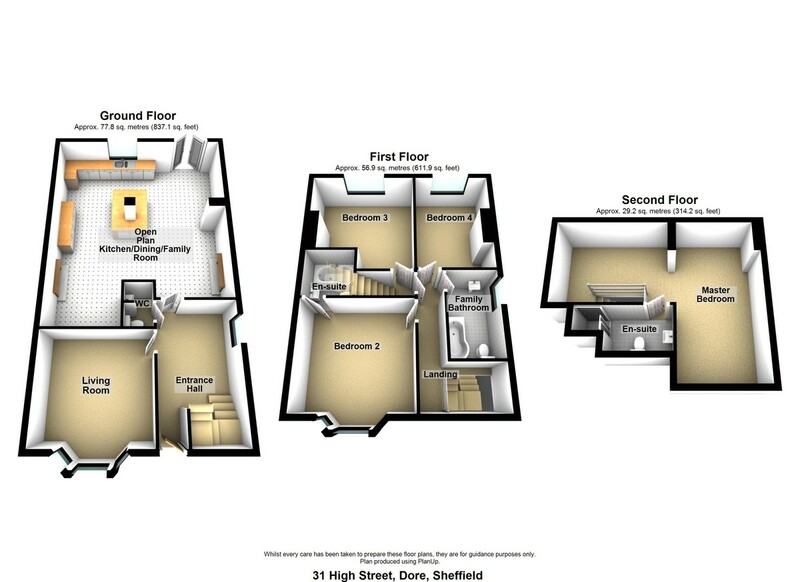 Second Floor Superb Master Bedroom Suite with En Suite Sower Room. 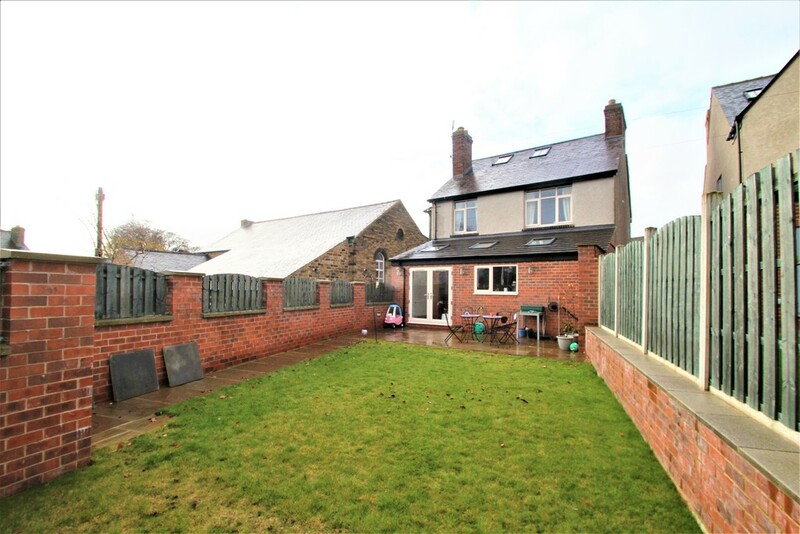 Outside sees double car standing space to the front and enclosed lawned garden to the rear. 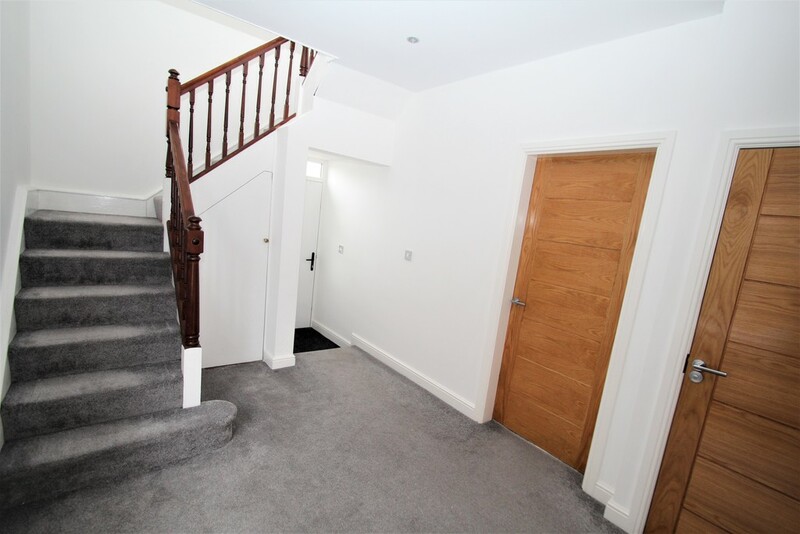 ENTRANCE HALL A lovely large and welcoming reception hall which benefits from a composite door, a central heating radiator, side facing uPVC double glazed window, recessed ceiling spot lights and useful under stair storage cupboard and staircase leading to the first floor accommodation. 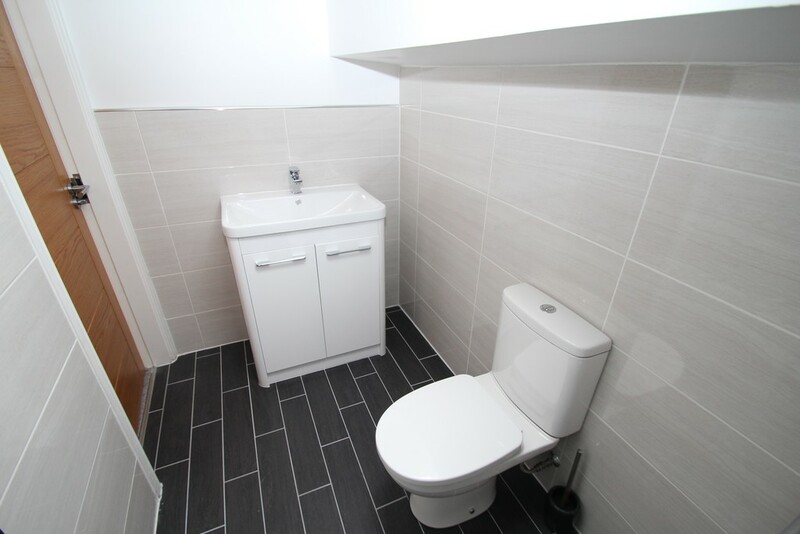 CLOAKROOM WC Fitted with a contemporary white two piece suite comprising low flush w/c and pedestal wash hand basin. 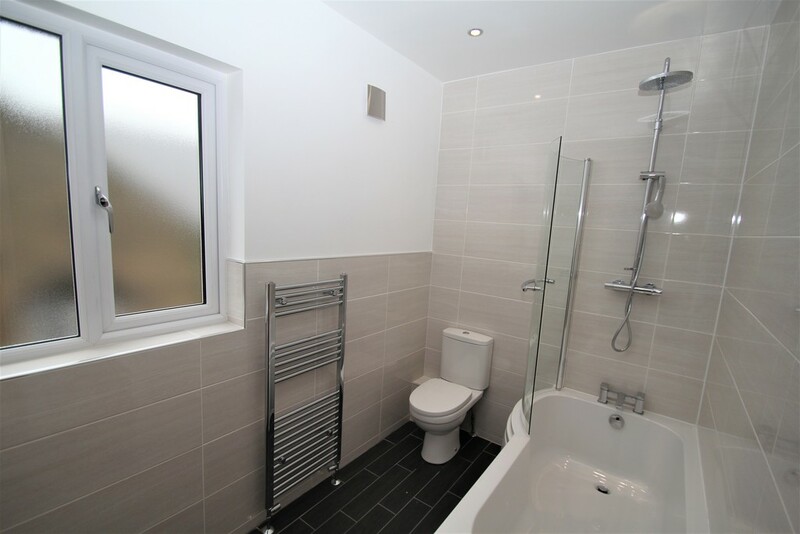 There is also a chrome heated towel radiator and tiled floor and half tiled walls. 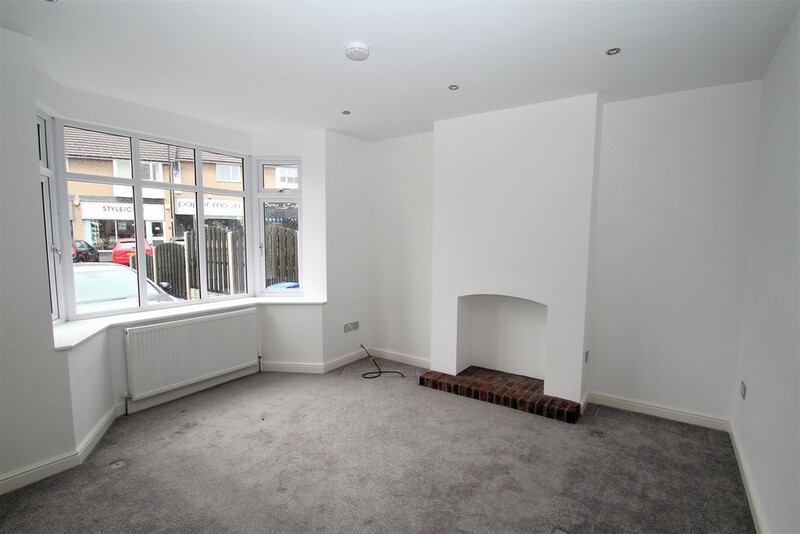 LIVING ROOM 12' 9" x 11' 10" (3.89m x 3.63m) Decorated in a neutral style and benefiting from a front facing double glazed bay window, a central heating radiator, recessed ceiling spot lights and a feature chimney stack with brick hearth. 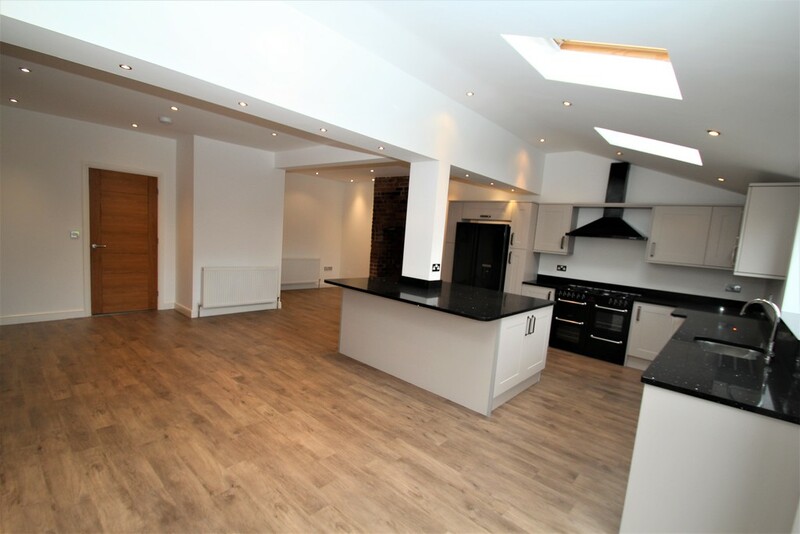 OPEN PLAN KITCHEN/DINER/FAMILY ROOM 29' 2" (max) x 21' 9" (8.91m (max) x 6.63m) This stunning extended family room gives tis fine property the real wow factor. 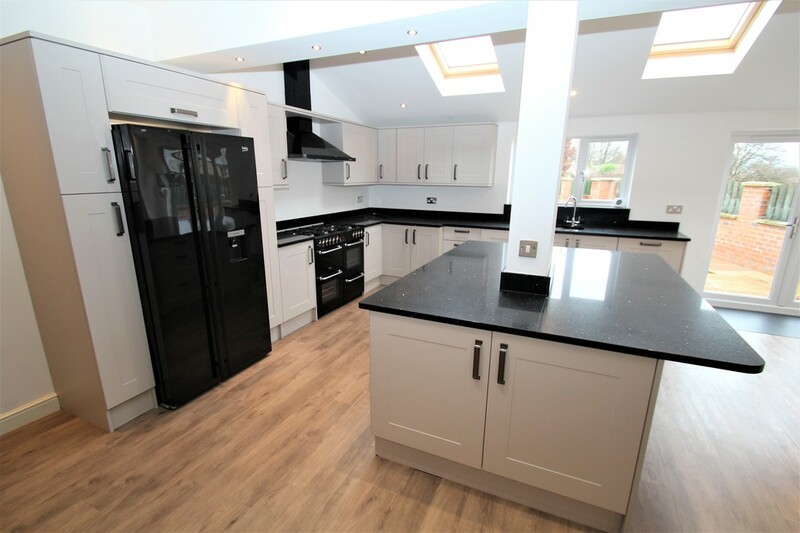 The kitchen area is fitted with classic, shaker style units above and below black 'galaxy' granite work surfaces. Incorporated within is a 1 ½ bowl sink unit with stylish mixer taps, integrated dish washer and washer dryer. 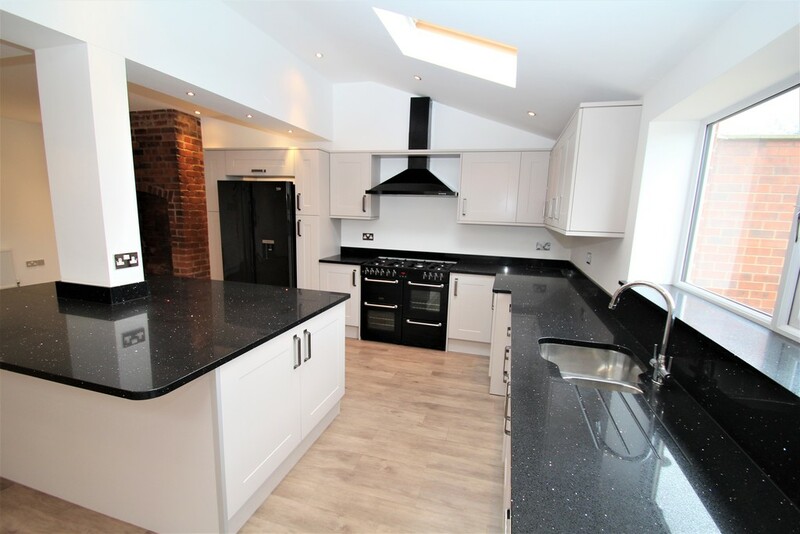 Space has been provided for a range style cooker and a large 'American style' fridge freezer. There is also a large central island with further draw and cabinet storage There are also rear facing double glazed window, double glazed French doors, three central heating radiators, 3 velux windows, recessed ceiling spotlights, two exposed brick chimney stacks and plenty of space for a dining table and further relaxed seating area. 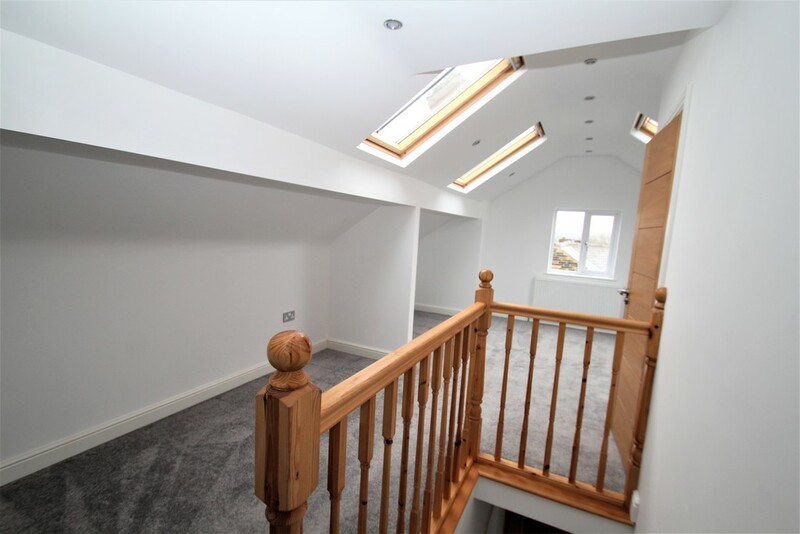 LANDING Having a front facing double glazed window and recessed ceiling spotlights, Behind a door a further staircase provides access to the second floor accommodation. BEDROOM TWO 12' 9" x 11' 10" (3.89m x 3.61m) With a front facing uPVC double glazed bay window, a central heating radiator and recessed ceiling spotlights. 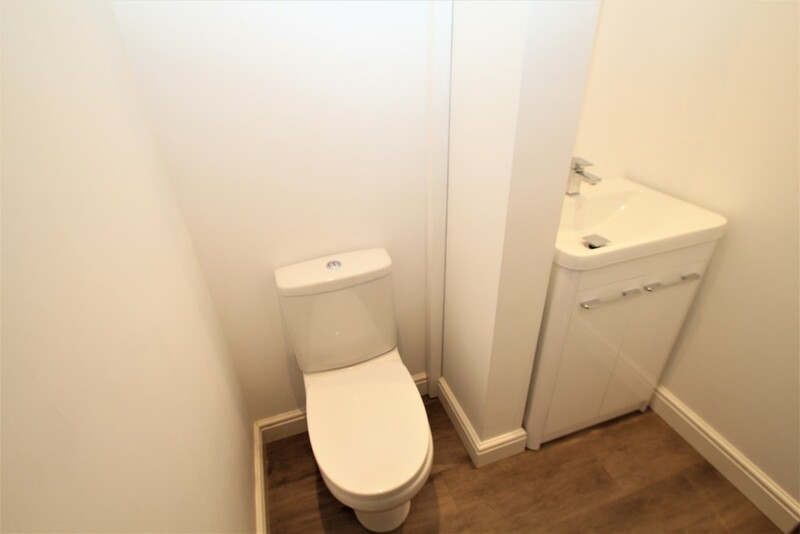 ENSUITE BATHROOM Fitted with a contemporary white three piece suite comprising 'P' shaped bath with thermostatic shower over, low flush w/c and vanity wash hand basin. 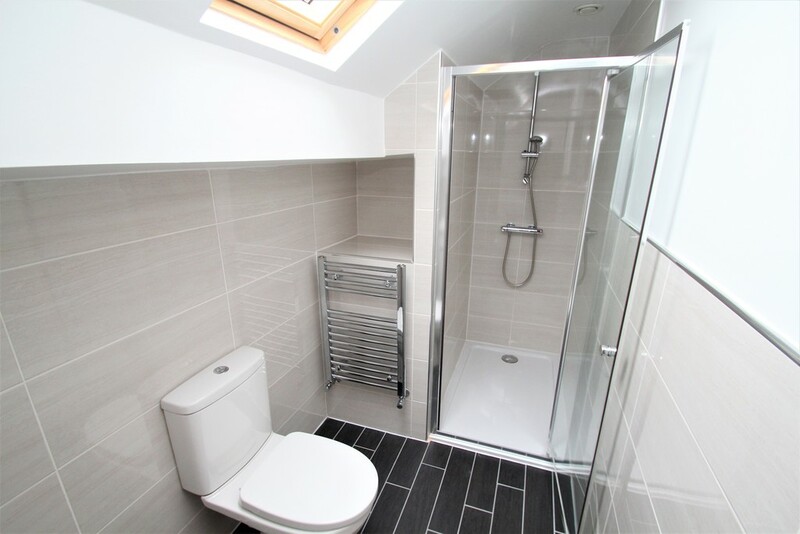 There is also a chrome heated towel radiator, extractor fan, recessed ceiling spot lights and tiled floor and walls. BEDROOM THREE 12' 9" (max) x 12' 6" (max) (3.89m x 3.83m) With a rear facing uPVC double glazed window, a central heating radiator and recessed ceiling spotlights. BEDROOM FOUR 12' 5" x 8' 11" (3.81m x 2.74m) With a rear facing uPVC double glazed window, a central heating radiator and recessed ceiling spotlights. 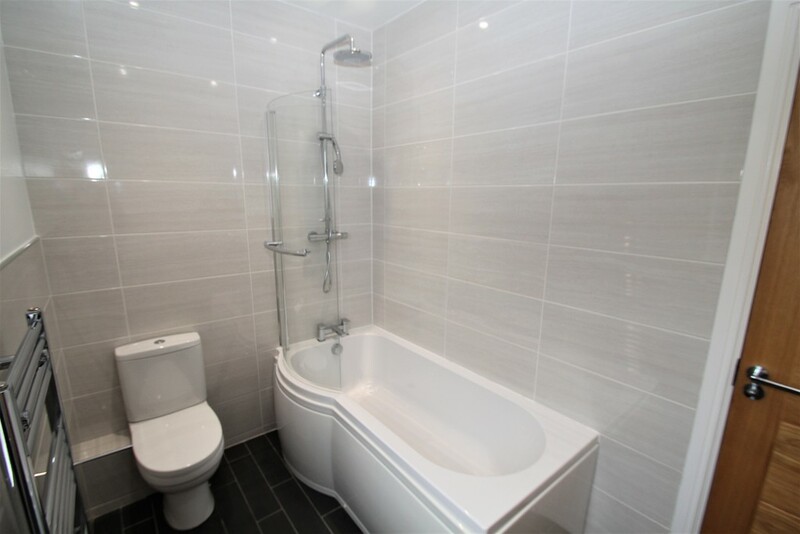 FAMILY BATHROOM Fitted with a stylish white three piece suite comprising 'P' shaped bath with contemporary 'square head' shower over, low flush w/c and vanity wash hand basin. 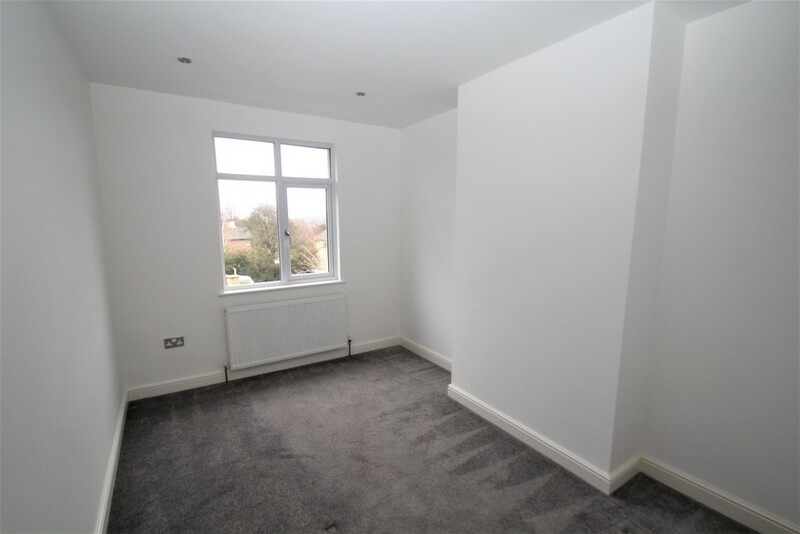 There is also a chrome heated towel radiator, extractor fan, recessed ceiling spot lights, side facing uPVC double glazed window and tiled floor and walls. MASTER BEDROOM 21' 0" (max) x 17' 1" (max) (6.42m x 5.21m) This spacious room utilizes the entire top floor of the house and it makes a stunning bedroom with dressing area. 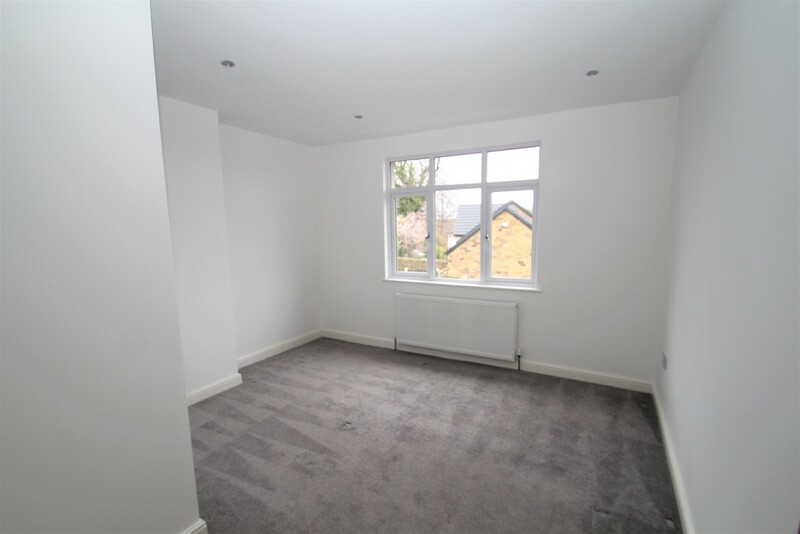 Natural light is provided by 3 Velux windows and one side facing uPVC double glazed window and there are also 2 central heating radiators. 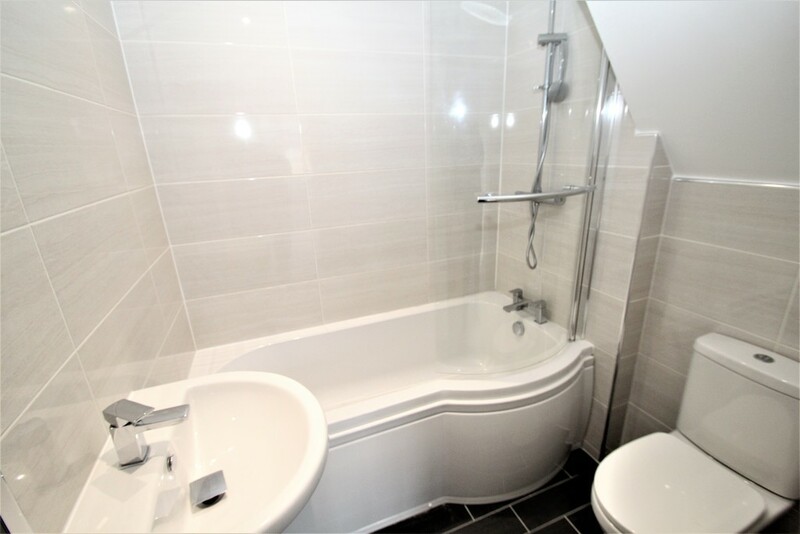 ENSUITE SHOWER ROOM Fitted with a stylish white three piece suite comprising tiled shower cubicle with contemporary 'large head' thermostatic shower, low flush w/c and vanity wash hand basin. 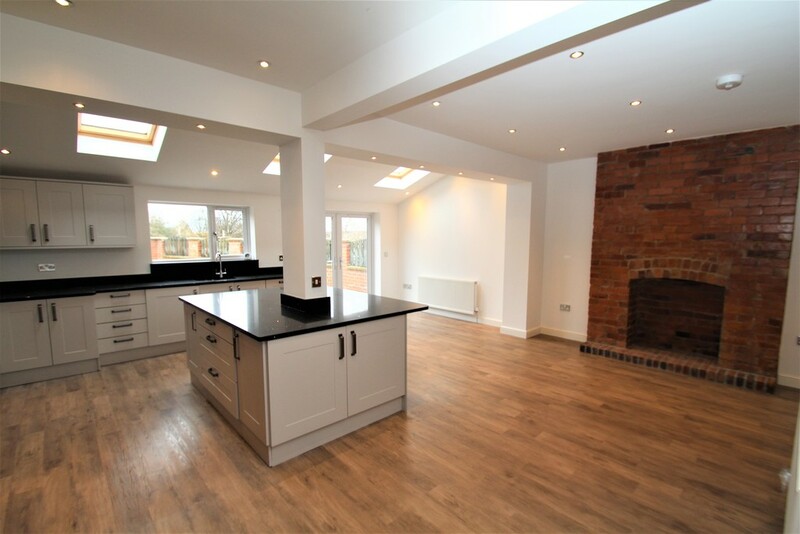 There is also a chrome heated towel radiator, extractor fan, recessed ceiling spot lights, Velux window and tiled floor and walls. 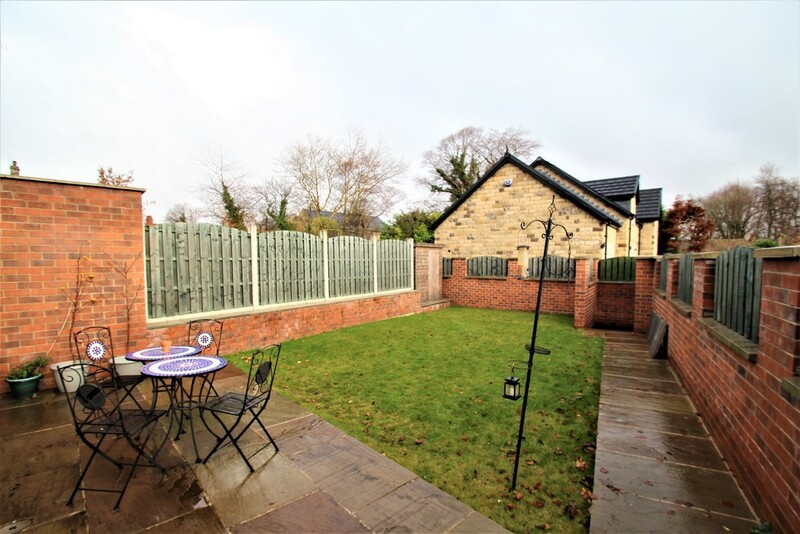 OUTSIDE To the front of the property is an area of block paved car hard standing, To the rear is a pleasant garden with York stone patio area and lawn enclosed by timber fencing. Copyright 2019 Andersons. All rights reserved. Powered by Homeflow. Unfortunately we do not have enough data to give you an accurate valuation. 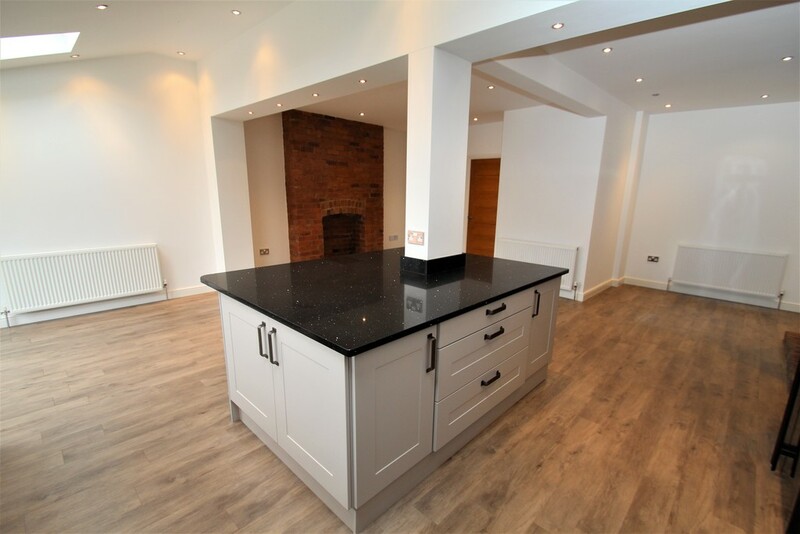 Your local Andersons property expert will be in touch to arrange an accurate valuation taking into account improvements to your property, the local market and more. Or arrange a valuation now by clicking here. 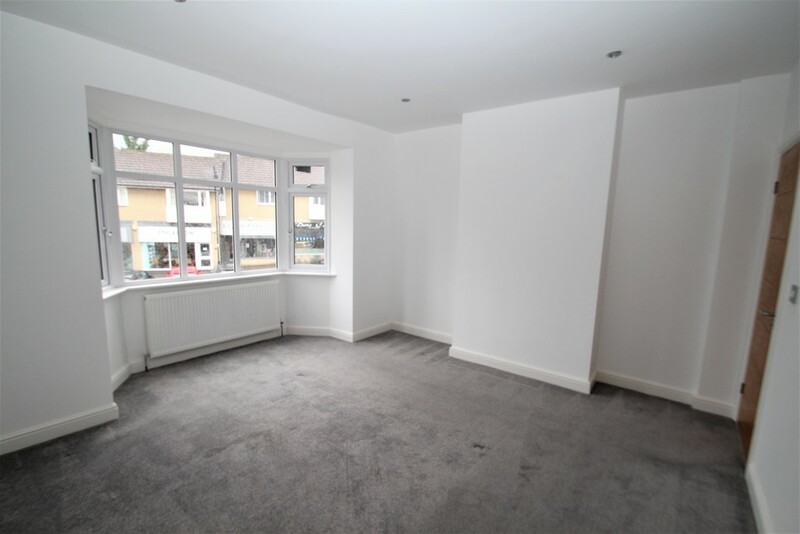 Whilst this instant valuation provides a guideline, your local Andersons property expert will be in touch to provide a more accurate valuation taking into account improvements to your property, the local market and more.